Sports Rendezvous: Dirk Nowitzki re-signs with Mavs for 21st season, set to break NBA mark. Dirk Nowitzki re-signs with Mavs for 21st season, set to break NBA mark. Franchise icon Dirk Nowitzki has signed a one-year, $5 million contract with the Mavericks, the team announced Monday, which sets the stage for him to play his 21st consecutive season in Dallas to break Kobe Bryant's NBA record for most successive seasons with a single franchise. The signing, necessitated by a salary-cap move in which the Mavs didn't exercise their option on a contract he signed in 2017, was a foregone conclusion. 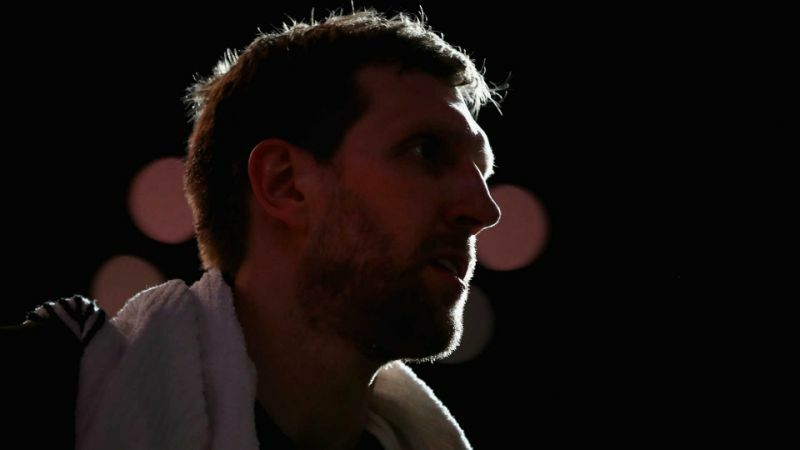 According to the Dallas Morning News, it is believed this will be his final NBA season, but Nowitzki, 40, "has been careful not to etch anything in stone as his career winds down."